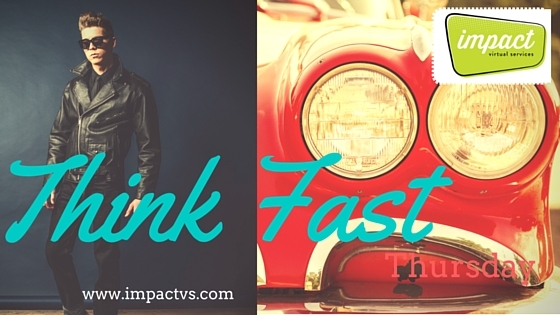 THINK FAST THURSDAY: Impact Virtual Services is HIRING!!!! So.... THINK FAST! impact Virtual Services is HIRING! We are looking for the very best of the best to bring on as Virtual Executive Administrators with expertise in non-profit management, association management, support for small and medium-sized businesses, support for entrepreneurs and social media mavens! Oh-Daddy-Oh, if you think you've got what it takes... CLICK HERE! impactVirtual Services exclusively hires its Virtual Assistants/Virtual Executive Administrators from within the U.S. Its global headquarters are located in Madison, Wisconsin. CONTACT SALES TEAM to hire your new VEA! FUN FACTS FRIDAY: Why All the FIVES?